State Supreme Court Reform Measure to Move on Monday - Action Now is Urgent! The Fall legislative floor session is scheduled to end next week on November 5th. This session will be the last opportunity this year for the Wisconsin Assembly and State Senate to vote on two major campaign finance reform measures -- which are waiting to be scheduled and ought to be passed and signed into law before Thanksgiving. Pending is the so-called "Impartial Justice" legislation: Assembly Bill 65 and Senate Bill 40 -- identical measures that would provide full public financing for qualifying candidates for the Wisconsin Supreme Court who voluntarily agree to abide by a spending limit of $400,000. These measures have already cleared the Assembly and State Senate Committees with jurisdiction over campaign finance reform. This legislation is headed for the Legislature's Joint Committee on Finance for consideration this Monday, November 2nd, where a final determination about the funding mechanism for the measure will be made. It should then be sent to the full Assembly and the State Senate for a vote. The other measure pending is Senate Bill 43, a bipartisan proposal requiring disclosure of the donors and regulation of the money utilized by outside special interest groups that run widely-disseminated campaign communications masquerading as issue advocacy during the period of 60 days or less prior to an election. This electioneering disclosure and regulation legislation mirrors new rules approved by the state Government Accountability Board in November of 2008. An identical Assembly version of the legislation is Assembly Bill 63. Both measures are ready to be considered by the full Assembly and State Senate. Common Cause in Wisconsin (CC/WI), the first state reform organization to recognize the critical importance of this reform, proposed a version of this measure back in 1997 -- and has been leading the effort to get it enacted into law ever since. The Capital Times agrees with CC/WI that the Legislature needs to act now on both of these reform measures. To read their October 28th editorial, go here. There is no word on when the Phony Issue Ad Disclosure and Regulation measure will be considered by the full Wisconsin Legislature. Next week the United States Supreme Court may hand down a widely-anticipated decision on a case called Citizens United v. Federal Elections Commission, which may tear down a hundred years of precedent with regard to the ability of Congress and state legislatures to limit corporate and union money in elections. For more on the case, go here. If the nation's highest court decides to destroy existing safeguards against unlimited corporate influence in elections, then Senate Bill 43/Assembly Bill 63 may be untenable in Wisconsin. But the Impartial Justice measure would not be undermined by the expected decision, and indeed, its enactment into law will be even more important. And that fact was made very clear yesterday when the Wisconsin Supreme Court voted 4 to 3 to adopt a change to Wisconsin's Judicial Code of Ethics written by Wisconsin Manufacturers & Commerce and the Wisconsin Realtors Association that says endorsements, campaign contributions and independently run ads in themselves are not enough to force a judge off of a case. For more about this troubling development, go here. In adopting this change, the Wisconsin Supreme Court rejected a proposal made by the League of Women Voters of Wisconsin that would have required recusal of a judge who received a campaign contribution of $1,000 or more - either directly or that was spent by an outside group in support of the judge or against the judge's opponent. CC/WI supported the League's position on this matter. But no matter what the U.S. Supreme Court decides in the Citizens United case and despite the Wisconsin Supreme Court's decision on recusal, it is critical that Wisconsin citizens tell their legislators to support both the Impartial Justice legislation and the Issue Ad Disclosure and Regulation legislation. They need to hear that voters and not wealthy special interest groups should be in charge of elections and the public policy-making process that follows. To contact both your State Representative and your State Senator go here. In my positions of more or less importance in over 30 political campaigns of more or less importance I have learned many things. One of the most important is that judicial campaigns are and should be different from campaigns for partisan offices. Both campaigns are about the candidates, their character and their credentials. Partisan campaigns are also about positions and promises and proposals as well. Judicial campaigns are not and should not be. The only issue in judicial campaigns should be solely about the candidates’ ability to at the very least aspire to dispassion, disinterest, open-mindedness on the people and the questions that are in the courtroom. I know the press hates this. The special interests hate it even more. Another major difference between these campaigns is that the judicial candidates are elected in “nonpartisan” elections and strive to be perceived as having achieved that state or a close approximation. If not all, certainly a great majority of candidates for judicial office come with a political history. Those who have been appointed were picked by a partisan politician for political reasons. Even those who run for open seats bring, with rare exceptions, some political baggage with them. Some bring steamer trunks. Nonpartisanship is elusive but bipartisanship or departisanizating is possible. Historically judicial candidates have asked partisans from both parties to serve in their campaigns as antidotes to accusations of partisanship. Former Democratic governor Pat Lucey and former Republican Governor Lee Dreyfus served as campaign co-chairs for a long series of worthy Supreme Court candidates who expected nothing more from them than the de-toxification that their presence implied. The desirable side effect of putting these names on the campaign letterheads is that it affected the candidates behavior and the kinds of campaigns they ran. This remedy disappeared for a couple of recent Supreme Court campaigns. It can and should be reapplied. It works. The need for money to run for office is a bone in the throat of candidates’ attempts to establish that they will be even-handed, fair, and not beholden to those who fund their increasingly expensive campaigns. Most judicial campaign contributions come from lawyers. A bad idea. Lately, money from interest groups or activists with an issue or an agenda has been flowing into judicial elections. An even worse idea. There is a way to fund these campaigns without giving the impression that the candidates are in the pockets of someone who practices before them or who wants a specific ruling on an issue that might be adjudicated. It’s called public money. It’s what the Impartial Justice Bill is all about. It is a small price to pay for an unfettered, unbiased, independent judiciary. The Fall legislative floor session -- which runs from October 20th through November 5th -- begins this week. This session will be the last opportunity this year for the Wisconsin Assembly and State Senate to vote on two major campaign finance reform measures, which are waiting to be scheduled and ought to be passed and signed into law within a month. The other measure pending is Senate Bill 43, a bipartisan proposal requiring disclosure of the donors and regulation of the money utilized by outside special interest groups that run widely-disseminated campaign communications masquerading as issue advocacy during the period of 60 days or less prior to an election. This electioneering disclosure and regulation legislation mirrors new rules approved by the state Government Accountability Board in November 2008. An identical Assembly version of the legislation is Assembly Bill 63. Common Cause in Wisconsin (CC/WI), the first state reform organization to recognize the critical importance of this reform, proposed a version of this measure back in 1997 -- and has been leading the effort to get it enacted into law ever since. While citizens across the state wait for the Legislature to act on these reforms, Common Cause in Wisconsin is sponsoring a "reform forum" to help educate the public on reforming State Supreme Court elections next Monday evening. This event is free and open to the public. Always something to be wary about. The charge is that I, as a reformer, think it’s still 1978. The fact is that a lot of the trouble that I see with politics and political campaigning is that I know it isn’t 1978. In 1978 the the two statewide papers and regional counterparts were politically powerful. Reporters validated candidacies. Editors accepted those validations by what they put in the papers and where they put the coverage of campaigns and candidates. Editorial endorsements from the two statewide papers (one of which has been merged out of existence, the other of which has become a regional) were always important and often crucial to political success. This absence is irreversible as, alas, is the decline of local papers everywhere. We thought the parties were still important in 1978 until we discovered that the GOP which used to almost fully fund all statewide races and filled the coffers of legislative races as well had a bank account of $5,000. The important money flow had shifted to candidates or to independent expenditures. This is reformable only in theory. The fact that the beneficiaries of the present system would have to do the reforming makes revival of parties to their pre-Watergate powers somewhere between unlikely and impossible. The special interests have always been with us, but the powerful ones in 1978 were labor and business, whose agendas were more broad than specific. What they got for their money and votes was a friendly bias not a vote on a specific issue or idea. The special interests have become more numerous, more zealous and more focused. Their issues are things like abortion, gay marriage, guns. They run litmus tests. They want promises on votes on their issues. This genie seems to be out of the bottle and its continued existence as a major force in political campaigns is assured by a Supreme Court that rightly worships the 1st amendment and less rightly is blind to collateral damage. Talk radio, which is show business but poses as faux journalism, was not as widespread or as virulent in 1978 and hadn’t gotten to the point where it terrified increasingly pusillanimous candidates. The only hope of change here is that those practitioners of the trade who have already gone too far will go even farther and their audiences will shrink and their advertisers will disappear. And the most important change of all is that in 1978 the parties were managed by citizen politicians who provided from their ranks other citizen politicians to run the campaigns themselves. They hired advertising agencies, pollsters, organizers, professional advisers. They are all gone. The citizens write checks and lend their names to letterheads. Campaign management is a business which has become very profitable as these professional campaign managers have shifted the emphasis to money and media, polling and focus groups, to marketing. Politics by money and mercenary will persist until and unless the citizen pols decide the game is worth the candle and put in the time and effort to take over again. This will happen only if we decide to starve the beast. The motivations of the missing citizens were no better than mixed, but it can be said that they were not in it for the money, which the mercenaries are by definition. So 1978 was not perfect. And 2009 is a train wreck. On October 6th, Rep. Jeff Smith (D-Eau Claire), the Chair of the Assembly Committee on Campaigns and Elections, announced at a Capitol press conference that his committee would be holding a series of public hearings focused on public financing of Wisconsin elections for statewide and legislative candidates--beyond just State Supreme Court candidates. Why? Because the current campaign finance system is completely outdated, ineffective, full of loop-holes, and not worth the paper the law is printed on. It has been thirty years since Wisconsin last addressed its public financing system in any meaningful way and significant reform is long overdue. These "Clean Election" Hearings are being held to get public input for the construction of a new, comprehensive campaign finance reform measure which would be developed during the remainder of 2009, and then introduced in either late 2009 or early 2010. On Wednesday, October 14th, the committee journeyed to the Milwaukee suburb of Franklin to hear from citizens of southeastern Wisconsin about the need for campaign finance reform and public financing/ There was a large turnout of citizens for the public hearing - larger than any Madison hearing in recent years. And those who testified were passionate, articulate, and well-informed about both the problems Wisconsin's broken campaign finance system has caused - and about what can and should be done to reform it. One of the most compelling speakers at the hearing was E. Michael McCann, the former long-time District Attorney of Milwaukee County, who described in detail what he found as he investigated the campaign finance-related crimes of then-State Senate Majority Leader Chuck Chvala. He spoke of how shocked, horrified and dismayed he was to discover the rotten underbelly of the corrupted campaign finance system that contributed mightily to the germination and growth of the most serious political scandal in Wisconsin's history. McCann expressed dismay that the system has not yet been reformed--pleading with committee members to pass effective public financing and disclosure laws to avert future scandal in the campaign finance arena. McCann became a member of the State Governing Board of Common Cause in Wisconsin last year. CC/WI Director Jay Heck also testified and answered questions from committee members for quite a while at the Franklin hearing. His testimony is here. Another public hearing in front of the same Assembly Committee was held yesterday in Eau Claire. And on Monday evening, October 26th, CC/WI will hold a "reform forum" at the Waukesha County Technical College (800 Main Street, Pewaukee) to address Wisconsin's disgraceful elections for the State Supreme Court and what we can do to reform them. Wisconsin Supreme Court Justices Ann Walsh Bradley and N. Patrick Crooks will be on a panel with former Wisconsin Lieutenant Governor Margaret Farrow and CC/WI Director Jay Heck from 6:30 to 8:00 PM. The pubic is invited to attend and participate in this free event and refreshments will be served. 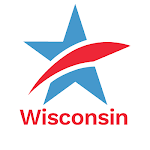 The League of Women Voters of Wisconsin, the Coalition of Wisconsin Aging Groups, the Wisconsin Alliance for Retired Americans and the Wisconsin Nurses Association are co-sponsoring the forum. Then starting next week, rallies will be held in four locations around the state to push for final action on the Impartial Justice bill reforming state Supreme Court elections. Lieutenant Governor Barbara Lawton will be joined at the events by former Wisconsin Supreme Court Justice Janine Geske and by current CC/WI Co-Chair and longtime Republican strategist Bill Kraus, who served as press secretary for Governor Lee Sherman Dreyfus (1979-83). The first stop in the "Impartial Justice Roadshow" will be on Monday, October 19 at 2 p.m. at the County Courthouse in Milwaukee at 901 North 9th Street. The second will be held on Thursday, October 22 at 2 p.m. outside the Supreme Court chambers in the State Capitol in Madison. The final two rallies will be on Tuesday, October 27 at 9:30 a.m. in La Crosse at the County Courthouse on 333 Vine Street, and at 1 p.m. in Eau Claire in the County Courthouse at 721 Oxford Avenue. Attend if you can and spread the word to others to do so as well. With all this activity occurring in the weeks ahead, the voices calling for campaign finance reform in Wisconsin will be difficult to ignore. Make sure yours is among them. And remember, while there will always be some who resist fixing our broken campaign finance system, the number of reform "deniers" is decreasing every day. The momentum is now with those who want to see a return to clean, honest and accountable government in Wisconsin. On behalf of the State Governing Board of Common Cause in Wisconsin and our more than 3,000 members from all over Wisconsin, I commend and thank you for holding these hearings on campaign finance reform and public financing in various parts of the state. Giving citizens outside of Madison an opportunity to testify about the need to clean up state politics is welcome and needed and will hopefully provide this committee with fresh ideas and perspectives not heard before. We are very encouraged that both the full Assembly and the State Senate stand on the verge of considering and passing two very significant campaign finance reform measures that will go a long way toward cleaning up Wisconsin’s once nationally respected and revered reputation for honest, clean politics – a proud heritage that has deteriorated steadily and almost completely since the late 1970’s when public financing was first established in this state. Passage of the Impartial Justice bill – which will provide full public financing to qualified candidates for the Wisconsin Supreme Court who abide by spending limits of $400,000 – is welcome and needed, particularly after the $6 million nasty, demoralizing state Supreme Court elections of 2007 and 2008 and the only slightly less expensive court election earlier this year. In all three elections money ruled. The phony issue ad disclosure and regulation legislation will finally provide some transparency and accountability in all state elections and is the single most important campaign finance reform measure since public financing was first established in 1977. But that still leaves the question of what needs to be done to reform Wisconsin’s legislative and statewide elections system that has been in almost total disrepair since 1986. Fortunately, there is no shortage of very good suggestions about what can be done and models that can be examined to come up with a campaign finance system that makes sense for Wisconsin. Maine, Arizona and Connecticut have all established 100 percent public financing systems that work well, that enjoy the high confidence and trust of their citizens and that have strong, bipartisan support. Closer to home is our neighbor Minnesota, which actually modeled its campaign finance system after Wisconsin’s in the late 1970’s but, unlike Wisconsin, continually tweaked and improved its system to keep pace with the increasing costs of campaigns and to make their system more attractive to candidates and to the public. Compare the fact that there is almost one hundred percent participation by statewide and legislative candidates in the public financing system in Minnesota and that all abide by spending limits with the fact that there is participation by only a few candidates -- and none in competitive elections -- in Wisconsin’s broken system and that there has been spending of up to $1 million in Assembly elections, $3 million in State Senate races and $35 million for Governor -- suggests that the Gopher State does elections in a far more sane and sensible way than we do. Minnesota provides public financing for 50 percent of the spending limit, not 100 percent like Arizona, Connecticut and Maine but it is, for the most part, a very effective and popular system where issues and ideas trump money in elections. Even if we will never get Brett Favre back, we can borrow a lot from Minnesota’s public financing of elections and thereby greatly improve our own system. CC/WI first proposed changes to Wisconsin’s campaign finance laws based on Minnesota’s system in 1998 and in early 1999. Representative Steve Freese of Dodgeville and State Senator Brian Burke of Milwaukee introduced a bipartisan, comprehensive Minnesota model plan for Wisconsin. As this committee puts together comprehensive legislation, that measure would be well worth revisiting. Likewise, a decade ago, and also with CC/WI’s strong support, Senator Michael Ellis first proposed what was then and still is a revolutionary, bipartisan comprehensive campaign finance reform plan for Wisconsin. He was soon joined by Senator Jon Erpenbach and together they have offered six versions of “Ellis-Erpenbach” over the years--the latest version in the form of Senate Bill 221 and Assembly Bill 388. In November of 2007, Governor Jim Doyle included Ellis-Erpenbach as the central piece of his proposed legislation for a Special Session on Campaign Finance Reform. That Special Session ended with no action by the Legislature in May of 2008. But there is much in this package of reforms that ought to be part of any comprehensive legislation this committee constructs. For example, Ellis- Erpenbach increases the current and inadequate $1 check off for public financing on the state income tax form to $5 with a partisan option (as Minnesota does) to make checking off the money more attractive. (It would not increase tax liability or decrease the refund by $5). It creates an additional source of public funding for candidates through the creation of a Public Integrity Endowment (PIE) to be set up and administered through the Government Accountability Board. Individuals, unions, corporations, foundations and anyone else interested in cleaning up state government could contribute to the PIE and be eligible for a 100 percent tax credit. (There is currently no additional source of public funding--only the $1 checks off). And if those two funding mechanisms do not provide sufficient revenue for full funding candidate grants and matching funds, a sum-sufficient appropriation is made. The current Ellis-Erpenbach legislation provides candidates with full funding for public grants equal to 35% of revised spending limits if they agree to abide by the revised spending limits ($4 Million – Governor; $700,000 – Attorney General; $150,000 – State Senate; $75,000 – State Assembly). In other versions, public financing has been as high as 45% of the spending limit – the same level as current law. Ellis-Erpenbach provides complying candidates who abide by spending limits with additional public funding equal to the amount over the spending limit that their non-complying opponent spends--up to three times the spending limit. (There is currently no such provision in place). Additionally, it provides candidates who are the targets of outside spending by independent expenditure groups or those who run so-called "issue ads" (that depict a candidate 60 days or less before the general election or 30 days or less before the primary) with public funding matches – of up to three times the spending limit. (There is currently no such provision in place). Ellis-Erpenbach has a very carefully and bipartisan-negotiated system for qualification for public financing that ought to be considered in any measure this committee constructs. Ellis-Erpenbach prohibits campaign fund-raising by legislators and statewide elected officials from the time after the election when the governor or governor-elect is preparing the biennial state budget to be introduced until it is enacted into law. This prohibition would apply to declared candidates for legislative and statewide office as well. And Ellis-Erpenbach abolishes the four legislative campaign committees -- which legislative leaders have utilized to decrease the independence of legislators and which have created, at the very least, the appearance of corruption through the solicitation of campaign contributions in return for the consideration of pending legislation. (Currently, LCCs collect hundreds of thousands of dollars of special interest money). So between Minnesota, Ellis-Erpenbach and what other states such as Connecticut, Maine and Arizona have done, there are plenty of great ideas about what could be included in an appropriate package of public financing and other reforms for Wisconsin. We think it most prudent to include several different funding mechanisms in any public financing package. If one method proves to perform less well than expected and turns out to be inadequate or is curtailed in future legislation, then there should be other forms of financing so that the system doesn’t succeed or fail on just one method – as Wisconsin’s has failed with sole reliance on the inadequate $1 check off on the state income tax form. All states with successful public financing systems have at least two sources of funding. Ellis-Erpenbach has three. The funding for any campaign finance reform needs to be sufficient and adequate or it will be ignored – as Wisconsin’s insufficiently funded program is now. Comprehensive campaign finance reform measures and public financing must have bipartisan support. It makes no sense to pass a totally partisan measure because it is likely to be completely dismantled when the other political party gains a majority. Reform needs to be acceptable to both sides in order to work and to last. I would hope the members of this committee would invite and include reform ideas from other legislators who have been active in trying to reform Wisconsin’s campaign finance system over the years so that they will support and feel ownership for whatever package you come up with. One thing I have learned over my 13 years at CC/WI. There are at least 99 different ideas of what the best campaign finance system ought to look like in the State Assembly and at least 33 in the State Senate. Then there is the Governor’s and other statewide office holders and there are the plans of the various public and special interest organizations. Agreement on any plan will require compromise and no one will get everything they want. But it is imperative that you get the job done. One thought to keep in mind as you go through this process. Contrary to the myths propagated by opponents of campaign finance reform – the citizens of Wisconsin overwhelmingly want sweeping reform of the current system and have for a long time. In 2000, a state-wide advisory referendum asked whether citizens thought there should be spending limits in campaigns and disclosure of the donors to campaigns. Just shy of 90 percent of the people of this state voted "yes." And in one county a further question was asked: "Do you support public financing of elections of state candidates who abide by spending limits?" The number of voters answering in the affirmative was also overwhelming – more than 80 percent. And no, that question was not asked in Dane County where such support for public financing might be expected. More than four out of five voters in Waukesha County supported public financing. So do not shy away from public financing, but rather embrace it. It is far preferable that candidates be beholden to the taxpayers of Wisconsin for the funding of their campaigns than to special interest groups that currently fill that void. Wisconsinites understand that fact. This committee can and must produce a measure that will restore Wisconsin to its rightful place as a national leader in clean, honest and accountable state government; restore citizen confidence – now at an historic all-time low – in our state elections and in our compromised and corrupted public policy-making process; and finally, help erase the stain of shame and infamy that continues to cast a shadow over Wisconsin since the eruption of our worst political scandal since the 1800’s – the Legislative Caucus Scandal back in 2001. It has been almost seven years since criminal charges were made against Wisconsin’s top legislative leaders of both political parties for crimes connected to illegal campaign fund raising. Wisconsin is more than ready for a new, clean system to be crafted and put into place so that we can all be proud of Wisconsin again. And be better than Minnesota. Common Cause in Wisconsin stands ready and eager to assist you in cleaning up Wisconsin’s elections and thereby the public policy making process that follows those elections. After a relatively quiet September, the Wisconsin Assembly will turn its attention back to campaign finance reform this week. Rep. Jeff Smith (D-Eau Claire), the Chair of the Assembly Committee on Campaigns and Elections, announced last week that his committee would be holding a series of public hearings focused on public financing of Wisconsin elections for statewide and legislative candidates--beyond just State Supreme Court candidates. The current campaign finance system is completely outdated, ineffective, full of loop-holes, and not worth the paper the law is printed on. It has been thirty years since Wisconsin last addressed its public financing system in any meaningful way and significant reform is long overdue. Tomorrow, Rep. Smith and other pro-reform legislators will hold a press conference at 11:00 AM in the Assembly Parlor of the State Capitol Building to announce these public hearings and provide more detail. They have asked Common Cause in Wisconsin to attend and we will be there. Above and beyond these important hearings, both the Assembly and the State Senate will consider two critical campaign finance reform measures during this Fall legislative floor session -- which runs from October 20th through November 5th. On September 15th, the State Senate committee with jurisdiction over campaign finance reform voted to approve Senate Bill 43, a bipartisan proposal requiring disclosure of the donors and regulation of the money utilized by outside special interest groups that run widely-disseminated campaign communications masquerading as issue advocacy during the period of 60 days or less prior to an election. This electioneering disclosure and regulation legislation mirrors new rules approved by the state Government Accountability Board in November 2008. An identical Assembly version of the legislation, Assembly Bill 63 was passed in the Assembly Committee in June on a bipartisan 6 to 1 vote. Common Cause in Wisconsin (CC/WI), the first state reform organization to recognize the critical importance of this reform, proposed a version of this measure back in 1997 -- and has been leading the effort to get it enacted into law ever since. That State Senate committee action now means that the next step for both the State Senate and the Assembly is to schedule the phony issue ad disclosure and regulation legislation for a vote -- where the measure is expected to pass and then, to be signed into law by Governor Jim Doyle. In addition, the Joint Finance Committee is currently exploring funding options for the so-called "Impartial Justice" legislation: Assembly Bill 65 and Senate Bill 40 -- identical measures that would provide full public financing for qualifying candidates for the Wisconsin Supreme Court who voluntarily agree to abide by a spending limit of $400,000. It has already cleared both the Assembly and State Senate Committees with jurisdiction over campaign finance reform. So, it too could and should be brought to the full Assembly and State Senate very soon for a vote. Governor Doyle has indicated he will sign this measure into law as well. For CC/WI testimony on these two measures, go here. Finally, CC/WI is happy to pass along this information from our reform collegues at the League of Women Voters of Wisconsin. The deadline for registration is Tuesday, 10/06/09. Please click here for the registration form which includes the full agenda, speaker bios and hotel contact information. To register online, please click here. Bill Safire died last week. He is remembered for many things by many people. My favorite and fondest recollection is based on a column he wrote on Election Day in the fall of 1978. This remarkable foresight was based on the fact that he saw the collateral damage that the congressional response to the Watergate excesses and the Supreme Court’s dictum which said in effect, “Money is speech and has the same freedoms and protections under the 1st amendment to the Constitution” would do to the election process in this country. What it would do, of course, is bureaucratize us. The surest sign of bureaucratization is that we become more concerned with the process than with the problem. We become prisoners of the status quo. Nowhere is this phenomenon more evident than in the raging debate in Washington and in the country at large about health care. The problem is that health care in this country costs twice as much as it does in the countries our businesses must compete with in what has become a global marketplace without, incidentally, producing better health, longevity, or anything else on the indices we use to evaluate the outcomes. Is anybody talking about that? Instead we are rallying around the system, the process. Saving the insurance companies, the doctors, the hospitals, the drug companies who would seem to be the fiscal beneficiaries of the problem no one is talking about. The hardening of the nation’s arteries that Safire predicted 31 years ago is now in full flower.